Now that Lonzo Ball is done with Summer League and probably gearing up for his first season with the Lakers, LaVar Ball has turned his attention back to getting his other two sons into the NBA. While his middle son LiAngelo is off to UCLA this fall, LaVar’s youngest son LaMelo is still in high school, playing for both Chino Hills High and the AAU team his father coaches, the Big Ballers. 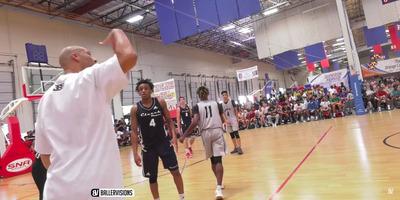 On Saturday while taking part in the Double Pump Best of Summer Tournament, the Big Ballers were up 69-60 in the second half of a playoff game when LaVar was called for a technical foul for a few comments he had made criticising calls from the sidelines. Almost immediately, Ball stood up off the bench and led the Big Ballers out the gym in protest, forfeiting the game. Outside, Ball would contine to esxpress his frustration with the officials. 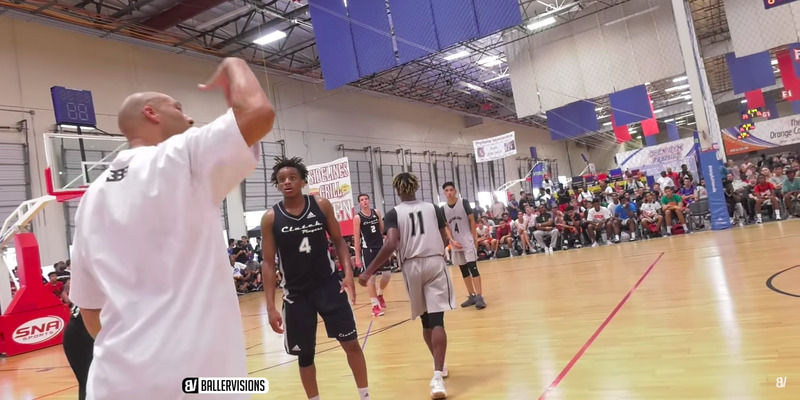 “I’m not gonna have my guys playing hard and they cheating,” Ball can be seen saying in another video, “I don’t play that s–t.” Ball then gathered the team and prepared to leave the tournament, but not before first stopping off to take a few pictures with fans of the Big Baller Brand. In an email to USA Today after the game, the coach of the opposing team, Clutch Players Navy, had this to say of the incident. NBA referees take note — there could be some strong criticism coming at you in the Staples Center this season.